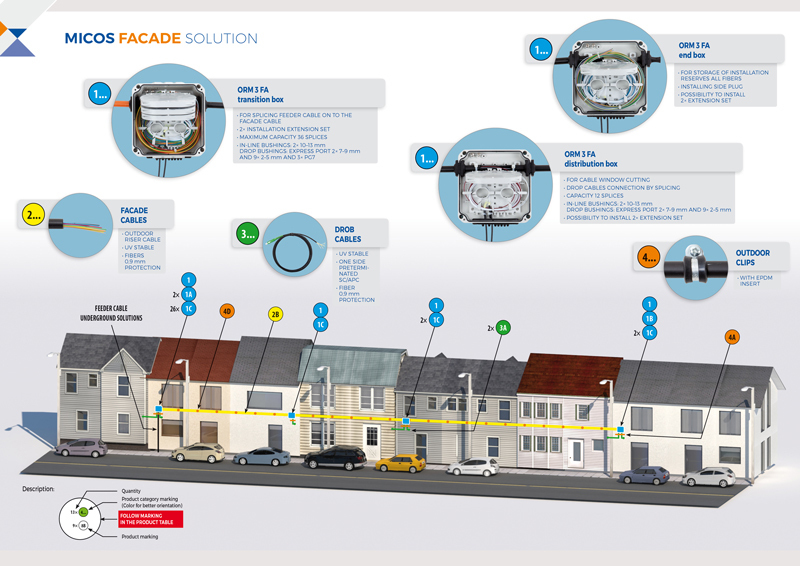 FTTH facade solution offers a way of a simple installation of the optical infrastructure which fully eliminates construction works inside the buildings. The solution is suitable especially for two-storey houses. ORM 3 FA can be used both for splicing the feeder cable and gradual connecting the subscribers. The horizontal cable distribution is being installed on the facade by using cable clips. This cable is being worked the same way like a standard riser cable inside the buildings. To find the way in the solution you can use the interactive marks linking to the product data sheets with detailed information.